Green remodeling encompasses the areas of energy efficiency, healthy indoor air quality, durability and resource efficiency. Older homes in our Greater Palm Springs Desert area were built when energy was significantly less expensive and have few of the features of new green construction. So a remodel project, which typically involves an older home, provides opportunity to introduce green remodeling concepts. 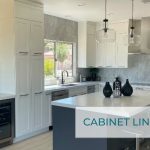 When they were active remodelers the philosophy of the owner of Cabinets of the Desert was to recognize and concentrate upon those elements of green remodeling that directly benefit the health, comfort and pocketbook of the Client. Any indirect benefit to the environment is a bonus. People relate to, understand and demand energy efficiency more than anything else “green.” Demonstrable energy efficiency is much more of a “value added” item and is where we would recommend spending your “green “dollars first and foremost. A professional Home Energy Audit will identify ways to reduce energy consumption in the home (and also improve indoor air quality) through technological and design improvements. These items can be executed, documented and advertized when the property is eventually sold. 7) new lighting (especially with new LED technology). Energy Star ratings attach to all of these. When asked about solar (photovoltaic) power, we would say that this is not yet cost effective as a return on investment and that dollars are best initially spent on the items listed above. The homeowner also has to factor in whether the property is for seasonal use only. 5) using the opportunity of a remodel to clean or replace old ductwork. Durability in a remodel project simply means using products and materials that will last. Aside from considerations of style and function, the application of building science to a remodel in this way can provide the homeowner with a healthier and more economical place to live. Again our cabinets by Bellmont Cabinets definitely qualify here.